Owning a Grand Caravan has never been easier with great deals to be found on both brand new and previously owned models at Leamington Chrysler. 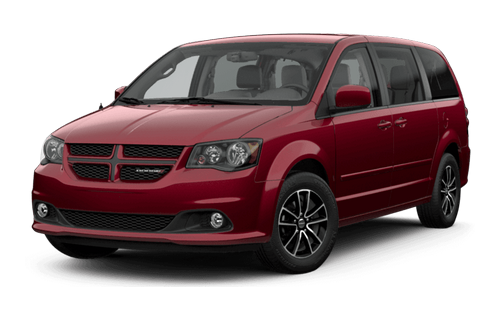 The Grand Caravan is always a best seller, and for good reason too. You won't find yourself compromising good fuel economy for extra space in your vehicle thanks to the Grand Caravan's efficient engine. Plenty of hidden cargo space can be found throughout the cabin, so you can pack heavy without compromising the comfort of your passengers. Looking for a Dodge Grand Caravan near Essex? Visit Leamington Chrysler today! For more information and to check out our inventory for yourself stop by Leamington Chrysler. We have a fantastic set of individuals working in our sales team who are more than happy to assist you with your purchase. Shopping is made simple at Leamington Chrysler as we believe in providing a relaxing and friendly atmosphere. There's no better place to find a Dodge Grand Caravan near Essex! Leamington Chrysler is located at 170 Oak Street W in Leamington, ON or you can give us a call at 519-326-9052. We look forward to serving you! To us you're more than just a number. Receive customized service based on your unique needs. Visit us near Essex today! No pressure sales, friendly and knowledgeable service technicians. We are a small-town dealership with fair and affordable prices. Find your Dodge Grand Caravan at Leamington Chrysler today! Stay connected on the go with various technological features available in the latest Dodge Grand Caravan. You'll have the option to connect your smartphone to the available Radio 430N multimedia centre. This system includes an array of features such as AM/FM radio, CD and DVD players, and auxiliary jack. Other upgrades are available including SiriusXM satellite radio, ParkView rear view backup camera, Garmin Navigation system and 28 GB of hard drive space. The latest model of Grand Caravan comes equipped with Canada's best selling engine, the 3.6L Pentastar V6. This 6-speed, V6 powerhouse is capable of producing a street-scorching 283 horsepower and 260 lb-ft of torque. It also provides great fuel economy with a rating of 9.4L per 100 km on the highway. Who says you can't have it all? The engineers at Dodge sure don't! At Leamington Chrysler, we believe in giving our customers the power of choice. One way we do this is by selling previously owned conditions of our most popular models. The Grand Caravan is no exception to this rule, and you'll find models from various years all in great condition. Buying pre-owned from our dealer doesn't come with the same reservations as buying online or directly from an owner. We inspect all used conditions before the vehicle hits our sales lot, so you can be sure you're getting the exceptional quality you'd expect from the Dodge brand. You can choose from three available package options with the latest Grand Caravan. This includes the Canadian Value Package, SE Plus, and SXT. Upgrades in various packages include, but are not limited to, 17-inch aluminum wheels, black Stow 'n' Go roof rack, class-exclusive tailgate seating - just to name a few. Stop by Leamington Chrysler today for a better look at which models we have in stock! At Leamington Chrysler, we're the small-town dealership that is committed to providing a family-like friendly atmosphere and a personalized purchase experience to everyone who comes through our doors. We pride ourselves on great service and great selection when you're searching for quality new and used vehicles by Chrysler, Dodge, Jeep and Ram. We are confident that our friendly sales team can help you find the new or used vehicle that's perfect for you and your budget. Our inventory of used vehicles is ever-changing, so you can find exactly what you're looking for and save money too. Choose us, and you'll discover the best way to get behind the wheel of your dream vehicle. Visit us at 170 Oak Street W in Leamington, ON or call 519-326-9052 for a personalized purchase experience. We purchased a truck today from salesman kevin stubbert. Best experience that my husband ever had buying a vehicle. No sales pressure, and he made the experience easy and stress free. (Bill) wants to make sure you know how great it was to purchase from you today. Thank you! They have an amazing selection of cars, trucks, SUVs, in new and used condition. There prices are very hard to beat. They are amazing as they are always willing to help. Been here a few times and always blown away about how they treat all there customers likes family. My next new Chrysler will differently come from this place. Excellent service purchasing my new vehicle. No pressure to buy addons and worked around my schedule. Gary Bain was an excellent sales person, knowledgeable and not high pressure.